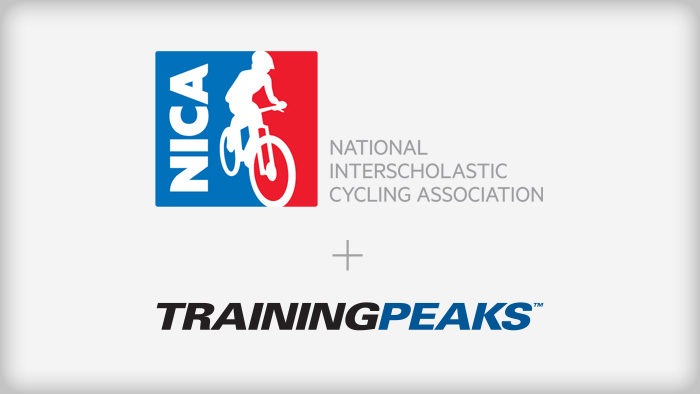 TrainingPeaks is happy to announce a partnership with the National Interscholastic Cycling Association (NICA) to provide world-class online training software and educational content to help mountain bike team coaches succeed. NICA was founded in 2009 with the goal of developing high school mountain biking programs for student-athletes across the United States that have a comprehensive reach and impact. Through this partnership, TrainingPeaks will provide NICA coaches and student-athletes with training resources, tools and discounts on their industry leading training software. Key to the partnership is ongoing education for coaches to help them develop training plans and better analyze student-athlete progress. Austin McInerny, NICA’s Executive Director said, “We are thrilled to partner with TrainingPeaks to provide additional support to our growing legion of coaches across the country who are working hard to help teenagers effectively and safely improve their physical fitness while learning how to set and attain reasonable goals, both mentally and physically. With over 5,000 student-athletes and nearly 2,000 licensed coaches across 14 states, NICA is working hard to provide state-of-the-art educational and support programs to the growing number of middle and high school cycling teams. With TrainingPeaks’ support of NICA’s recently launched coaches resources website, licensed coaches will learn how to more effectively serve their student-athletes with tested training programs and training tools. Additionally, TrainingPeaks will be offering discounted Coach and Athlete Edition subscriptions and aid in fundraising campaigns for NICA teams. This partnership is a great example of industry leaders helping grow the next generation of active adults who aspire to be the best they can be.